Lotto Jackpot 8,700 euro. There was no winner. Numbers drawn were 10, 20, 24, 32. No winner. Next weeks jackpot €8800. Lucky Dip winners Mary Davin, Frank Clancy and Padraic FitzMaurice. Lotto Jackpot 8,600 euro. There was no winner. Numbers drawn were 4, 8, 11, 32. No winner. Next weeks jackpot €8700. Lucky Dip winners Dave Mahon, John G Davin and Sean Byrnes. Lotto Jackpot 8,500 euro. There was no winner. Numbers drawn were 7, 10, 21, 32. No winner. Next weeks jackpot €8600. Lucky Dip winners Una Molloy, Anneta O'Neill and Paul Kelly. Saturday Club starts on 15-October. All welcome. Mike Ryan and his committee invites everyone to play over the Winter. End of season outing to be announced later. 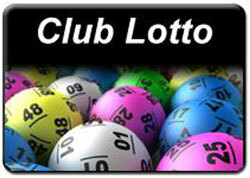 Lotto Jackpot 8,400 euro. There was no winner. Numbers drawn were 18, 21, 25 & 26. No winner. Next weeks jackpot €8500. Lucky Dip winners Dan Twomey, Gerry Fahy and Helen Keane.